Jake McGraw was unlike anyone I’d ever known. He was brash, rude, unapologetic and arrogant; chauvinistic, close-minded, and terribly stubborn. He was built like a tree, tall with a hard chest and wide shoulders and hands that looked like they could wrestle a bear. He was a cigar-chomping, scruffy-faced, beast of a man. I was pretty sure I hated him. And I know he hated me. But among the flesh-eating monsters in these snow-capped mountains, he was the only thing keeping me alive. The year is 1851 and pioneers in search of California gold are still afraid to travel on the same route as the tragic Donner party did years before. When the last wagon train to go into the Sierra Nevada mountains fails to arrive at their destination, Eve Smith, an 18-year old half-native girl with immense tracking skills is brought along with the search party, headed by an enigmatic former Texas Ranger, Jake McGraw. What they find deep in the dangerous snow-covered terrain is a terrifying consequence of cannibalism, giving new meaning to the term “monster.” While the search party is slowly picked off, one by one, Eve must learn to trust Jake, who harbors more than a few secrets of his own, in order to survive and prevent the monstrosities from reaching civilization. 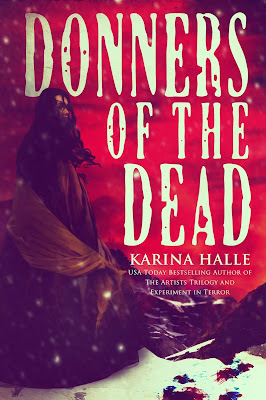 The daughter of a Norwegian Viking and a Finnish Moomin, Karina Halle grew up in Vancouver, Canada with trolls and eternal darkness on the brain. This soon turned into a love of all things that go bump in the night and a rather sadistic appreciation for freaking people out. Like many of the flawed characters she writes, Karina never knew where to find herself and has dabbled in acting, make-up artistry, film production, screenwriting, photography, travel writing and music journalism. She eventually found herself in the pages of the very novels she wrote (if only she had looked there to begin with). Karina holds a screenwriting degree from Vancouver Film School and a Bachelor of Journalism from TRU. Her travel writing, music reviews/interviews and photography have appeared in publications such as Consequence of Sound, Mxdwn and GoNomad Travel Guides. She currently lives on an island on the coast of British Columbia where she's preparing for the zombie apocalypse with her fiance and rescue pup. Did you know that you can shorten your urls with Shortest and make dollars for every click on your shortened links. 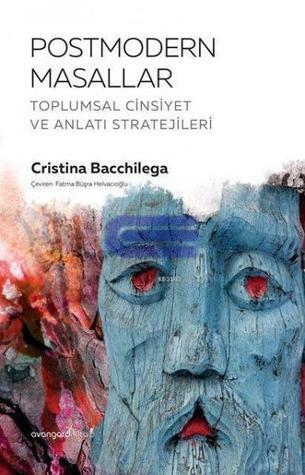 Kafasını kitaplarla bozmuş, hele hele bir kitaba takıldıysa normal hayattan ilişiğini kesen, seslenilse duymayan, konusunu sevdiyse her kitabı okuyan, ama aslında paranormal, aşk ve de cinayet romanları tutkunu olan, şiirden hiç hazzetmeyen bir kız. İlkim has read 7 books toward her goal of 225 books. Basit teması. Tema resimleri merrymoonmary tarafından tasarlanmıştır. Blogger tarafından desteklenmektedir.